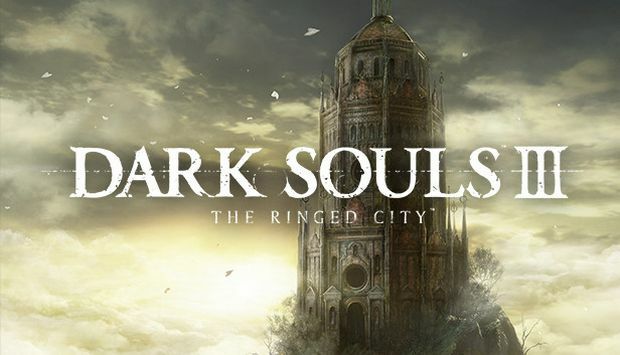 HomeReview – Dark Souls 3: The Ringed City DLC. Well, it is certainly more Dark Souls. The enemies, the level designs and everything else feel like they belong with the rest of the game. They got the tone right and produced more great content which is really all that most fans want. We got more weapons, spells and armour to play with and new challenges to overcome. And boy were there some challenges. Difficulty seems to have been ramped up for the DLC. Enemies were either individually powerful or attempted to swarm you, sometimes even both at the same time, making progression through areas much harder than in most of the base game. I had several moments where I began to doubt the game in all honesty. Dark Souls built itself up as hard but fair. Learn the area and the enemies and you will succeed. In the Ringed City though it often felt overwhelming with several different types of enemy attacking you all at once making it difficult to learn a set encounter. I found myself just running through areas until finally something just clicked and I would suddenly know how to win the encounters. And that is a mark of this DLC. Brute strength or even skill isn’t the deciding factor in many areas. It almost feels like a puzzle game in places, with your movements and timings being key to passing though an area rather than killing an enemy. Scenery becomes cover moreso than ever before while some enemies simply cannot be defeated by attacking them directly. It really does require a great deal of thought. The bosses are also fun and difficult with a massive variety. From massive monsters to other players, the bosses have that wonderful sense of challenge that makes defeating them so satisfying. We even see an old boss return as just a casual encounter in a dark corner to give you a hard time when you aren’t expecting it. So what we have is great. It is what we don’t have that disappointing me though. So much feels like it is set up without offering any real resolution. We get a load of lore snippets about the dark soul, the pygmies, and the gods, but these only create more questions rather than answers. Maybe some of the excellent members of the community will discover something that ties everything together but as things stand it doesn’t feel like the series has been concluded. This is most evident in the ending. I genuinely didn’t realise that I had beaten the game. I spent another two hours searching for where to go next. I won’t spoil the ending but none of the questions are answered and there is no grand spectacle. We don’t receive any grand prize and we don’t get any choice or change. We beat a boss who hasn’t been set up as the main boss and then are left in an empty world of ash. In a way this is very much fitting with Dark Soul’s themes and general attitude but it still left me feeling somewhat hollow. That been said, while I can understand the reasoning, it still feels like half a story. I criticised Ashes of Ariandel for feeling like it was only the first half of a dlc and expected The Ringed City to form the other half. It doesn’t feel like that though but rather another opening half. Maybe this is just a mental thing of not being ready to let go of such a great set of games. There is so much more that I want to know and now it is unlikely that we will ever be given those answers. When my biggest complaint with something is that I want more of it then I guess that is a pretty good thing. It certainly feels more developed than Ashes of Ariandel but lacks the impact of Artorias of the Abyss. 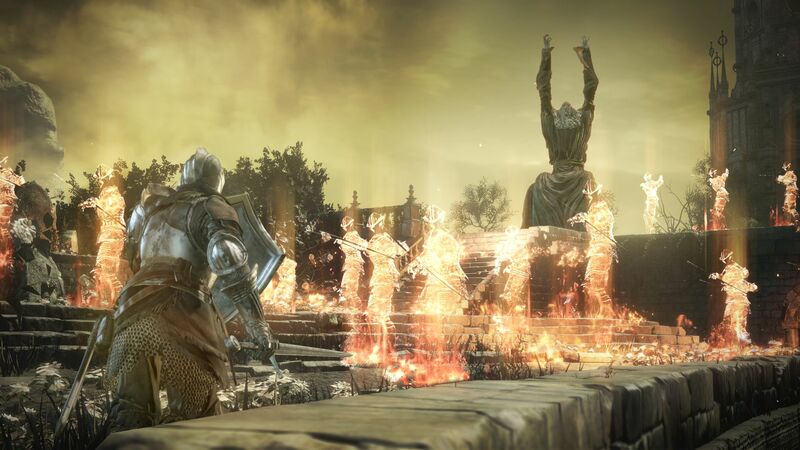 Oh, and on a passing note, The Ringed City also adds more PVP options such a matchmaking arena system accessible through bonfires and indicating which bonfires have the most players around them. If you enjoy interacting with other players then this is definitely something worth keeping in mind. All in all, The Ringed City is a solid DLC for a solid game.